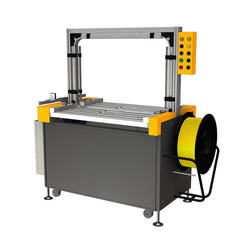 Backed by a rich industrial experience, we have come up with a world class assortment of Automatic Strapping Machine. Fostered by enormous industrial understanding and familiarity in this sphere, we are involved in offering an inclusive consignment of Automatic Strapping Machine. switches. Internal electricity is 24Vaccessing, prevent operators from shocking. 1. Speed: 2.0 sec/cycle, 30 cycle/min. 2. Easy maintenance and simple operation: mechanism is stable and durable, and the oil will not be impregnated. 3. Tensile force adjustment: the biggest pulling force is over 90kgs for this automatic strapping machine B·KZ-Ⅱ. 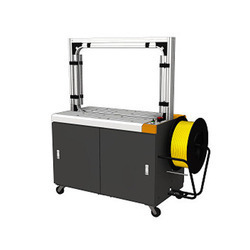 Automatic LBX-2300 Semiautomatic general-purpose strapping machine. High speed, maintenance-free, jam-resistant. Uses polypropylene strapping.